New York, NY – July 1, 2015 – The O Alliance, a new consulting firm helping retailers to create circular commerce, today announced that Mōd Advisors LLC, a boutique consulting firm led by former L Brands executive and Price Waterhouse Coopers consultant Ken Hewes, has joined its premier network of transformational practitioners. Comprised of former retail and fashion executives who helped shape such renowned brands as Victoria’s Secret, Coach, and Nike, as well as high-growth, emergent concepts such as Boot Barn, Mōd Advisors will leverage its strategy consulting and operational expertise to help The O Alliance clients build their businesses in the U.S. and globally. As a Member of The O Alliance, Mōd Advisors will lend its expertise in business growth, brand development, and brand delivery in areas such as merchandising, marketing, in-store customer engagement, product development, and real estate management. 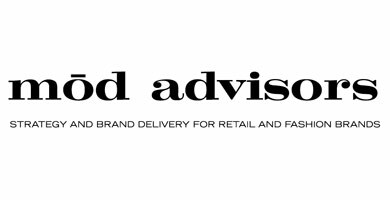 Additionally, Mōd Advisors’ clients will gain access to the Alliance’s network of multi-disciplinary experts in the critical areas to drive a retailer’s growth, including store design, talent, change management, in-store technology, e-commerce, and digital social marketing, among others. The growing list of The O Alliance partners includes Mulitimedia Plus, Crayon Data, JGA and Splashlight.